Frederik II the Great rested under the tree in 1762. Later they erected an iron tree as a memorial. 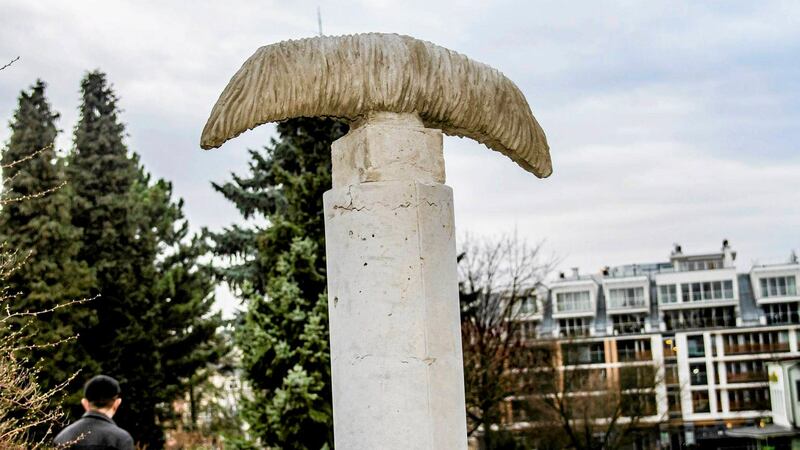 The landing of UFO commemorated in the village of Emilcin. 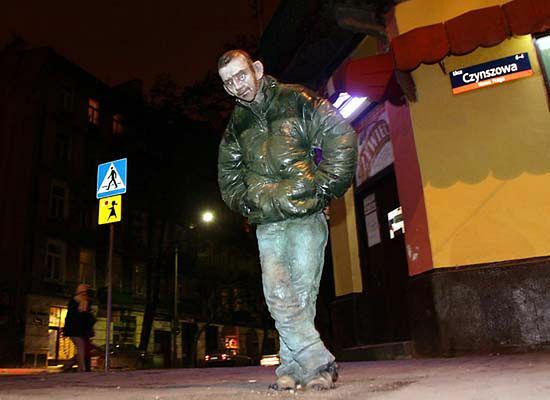 Bum monument in Warsaw. A real person is depicted. Did anyone take any photos of the UFO? I'd love to see the photos if they exist! No, the farmer who saw and met UFO didn`t have a camera. So, I guess it must have been a brief encounter? The farmer didn't invite them home for dinner?